Methods that are being used for assessing entrepreneurial skills. Tools for assessing entrepreneurial skills. Examples of assessment in entrepreneurial education. The purpose of the project is to provide a progression model for assessment in entrepreneurship education built on existing knowledge and experience and suggesting potential applications. This project will present an overview of innovative and adaptable assessment tools, including digital tools, for different school levels aimed at enhancing innovation and resourcefulness of all students from the lowest to the highest end of the academic spectrum. It will build on the collaboration of leading specialists in EE, their experiences and research learning from each other and harvesting the latest relevant European reports in the area. 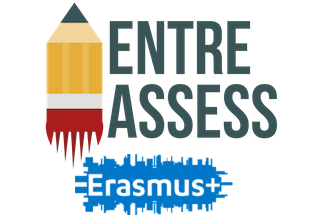 The EntreAssess website is a product of the Practical Entrepreneurial Assessment Tool for Europe project (2016-1-IS01-KA201-017099). This project is supported by the European Commission's Erasmus+ Programme.